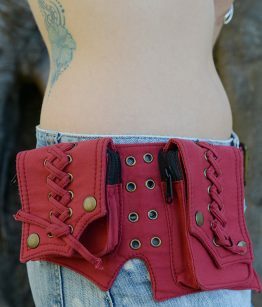 Utility/Festival Belts keeps your essential safe and at easy access. A must for festivals and travelling. Pockets sit on your hips, allowing freedom of your hands. It has zippered and buttoned pocket that are large enough to hold a passport and i phone. Perfect for both men and women. 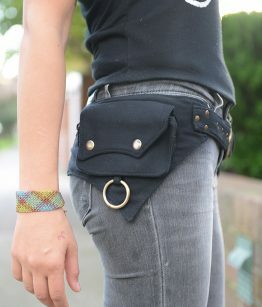 Fully adjustable in length, can be worn on your hips or waist. If you prefer you can also wear it as a satchel around your shoulders and chest. It features brass buckle and brass hardware. Available in Black,Brown, Red, Maroon and Green. It fits hips from 84cm to 104cm. Available in Black, Brown, Red, Maroon and Green. It fits hips from 76cm to 95cm.